Born in Middlesex County, Ontario on 20 August 1871, son of Miciah and Curlista Emma Hunt, he was educated at the public school of Talbotville (Elgin County, Ontario), St. Thomas Collegiate, the University of Toronto, and Osgoode Hall (Toronto). He was called to the Ontario Bar in June 1898. He came to Winnipeg in 1900 and was employed by the legal department of Canadian Pacific Railway. He subsequently became a member of the firm Aikins, Robson, Hunt & Sparling, then a member of the firm Howell, Mathers, Howell & Hunt in 1905. Later that year, he was appointed Solicitor for the City of Winnipeg, later Corporation Counsel. He held this position for over fifteen years. He was appointed King’s Counsel in 1913. He served as a Bencher of the Law Society of Manitoba from 1925 to 1934. On 21 July 1901, he married Edith Clara Harmer (?-?). They had three daughters. He was a member of the Carleton Club, Adanac Club, Manitoba Club, Masons, Manitoba Fishing and Hunting Club, and Assiniboine Lawn Bowling Club. He enjoyed fishing and hunting. 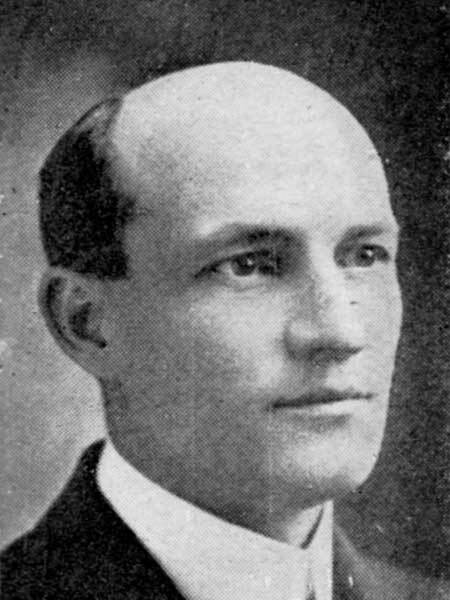 He was a Conservative candidate for Winnipeg in the 1927 provincial general election. He was a candidate for Mayor of Winnipeg in 1931. He died at his Winnipeg home, 43 Middlegate, on 16 August 1934 and was buried in the Elmwood Cemetery. “Theo. A. Hunt is dead following heart seizure,” Winnipeg Free Press, 17 August 1934.